Sometimes, when you’re out in the world, you need a way to quickly and easily charge your phone. This is why the power bank has taken off; you can quickly charge your phone, camera, or tablet with one and get back to your day, but what if you can’t charge the power bank? With this in mind, the portable solar charger was created. It’s good to have a high capacity with your power bank and a solar power bank gives you options when an outlet isn’t handy. 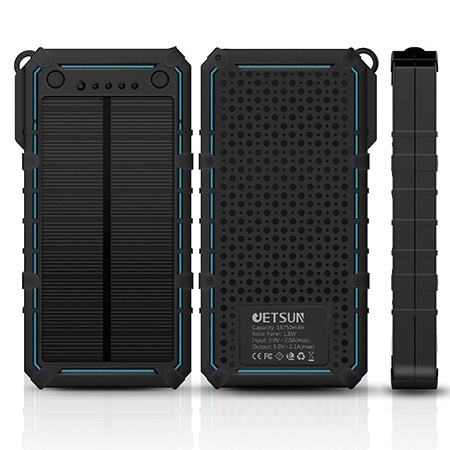 This Jetsun solar charger has a nice 16,750 mAh capacity that will charge many devices. What is also very hand is this charger’s ability to simultaneously charge two devices through the two USB ports. This is a great camping option; in fact, it was designed for this purpose. It has a built-in LED torch for illumination. It has a remarkably high capacity of 16,750 mAh. This is enough to charge most phones and even some tablets several times. It’s a bit heavy at almost a pound. It only charges about 20 to 30 percent in a day. 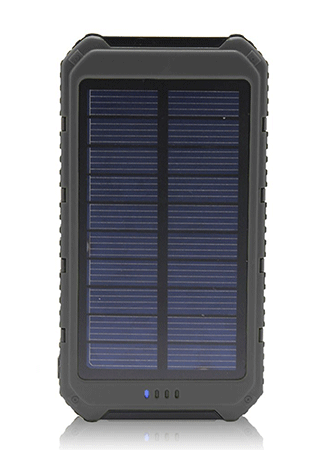 When you’re outdoors, it’s nice to have a waterproof solar charger in case strong weather happens. 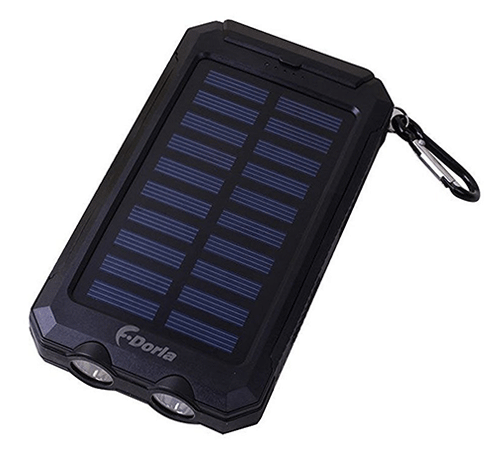 The F.Dorla solar charger and power bank can be used in the wettest situations and also has a large capacity of 20,000 mAh. The device is also very portable and even comes with a carabiner clip for easy storage on your bag. The included LED light is very powerful. It is relatively light; it only weighs ten ounces. Solar charging is fairly slow. At only 1a output, it may take a while for your devices to charge. The March Solar charger is a fairly handy solar charger/power bank that has a 12,000 mAh capacity for those who need a consistent charge for their devices. Many chargers of this nature also have a flashlight but this one has a dual LED flashlight for extra brightness. This device is waterproof, shockproof, and dust resistant. It comes with a lanyard that you can use to attach to your bag. It has fairly fast charging on the 2.1A USB port. This charger is a bit bulky. It doesn’t really come with instructions. 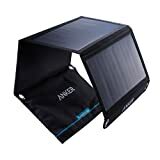 Many solar chargers can take a long time to deliver power, but this PowerGreen charger has a larger solar panel that allows for a faster solar charge. The panels are also crafted of a tough, road-ready polymer that will last. Simply fold the panel up for storage and unfold for power. With a larger surface area, this charger gets good energy from the sun. It folds down to a compact, backpack-friendly size. It can be attached to a backpack. The panel can be attached to a backpack, but this exposes it to the elements. It weighs a pound and a half, which can get a bit heavy, especially when you’re packing it away in a bag. 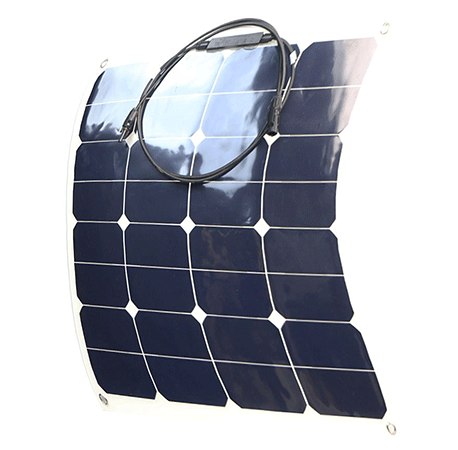 This product is designed to provide a charge for any device and features a fully bendable array of solar panels for your electronics. While it’s not portable, nor does it have its own capacity, this panel is a very efficient at delivering juice for your electronics. It has a 22 to 25 percent efficiency, which is very high. The panels are flexible so that you can place them anywhere. It’s great for outdoor camping. It doesn’t have any way to charge your devices without solar. It’s not portable; it’s really designed as a tool to power your electronics in a camper or an RV. Sometimes you don’t need a huge capacity in order to keep your devices going. 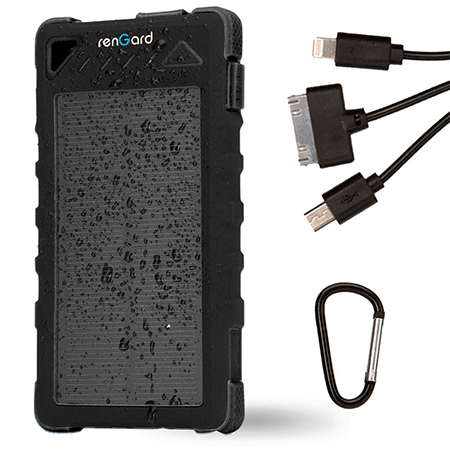 At 8,000 mAh, the Rengard solar charger can power several devices before it needs to be recharged. This product comes with a carrying pouch and a carabiner clip as well. 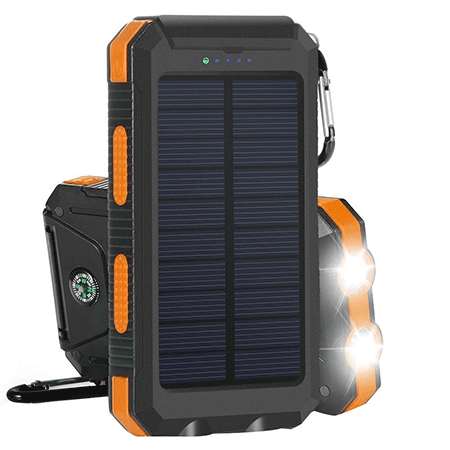 It has a three-mode LED light that provides flashlight function, caution light function, and SOS light patterns. This product can charge two devices simultaneously. It comes with a drawstring pouch for easy portability. It takes 48 hours or so to fully charge the bank to maximum capacity using just solar energy. 8,000 mAh is respectable, but you may not have enough juice for a full weekend. 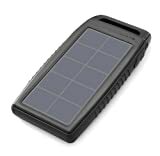 This is a great device that has a SUNPOWER solar charging panel that greatly improves the charging rate under solar power. Capacity-wise, this Nekteck product has 10,000 mAh or enough juice to power a modern Galaxy phone about three times. 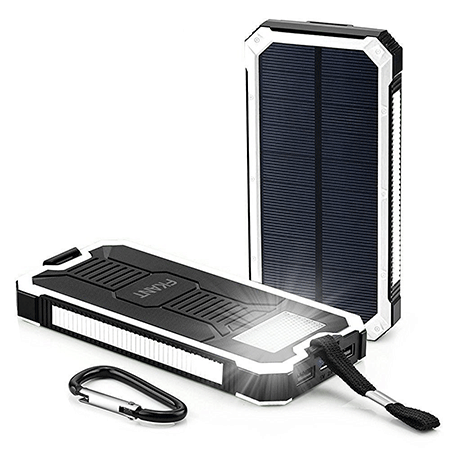 This product has a very fast solar charge rate. It also charges devices at a 2.1A rate of charging. The LED light is very bright. While it works with USB type C, you’ll need to purchase another cable. The power button is hard to push. 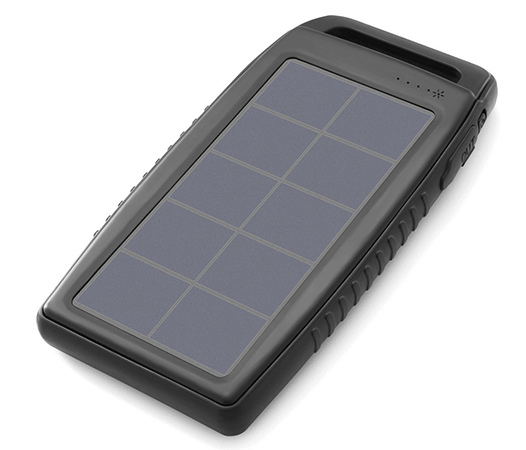 This TohLo product’s ability to charge your devices through the usage of solar energy is primarily designed to be used as an emergency feature. That being said, the capacity for this is high at 15,000 mAh. It has a very bright flashlight that uses four LED bulbs to light your path. 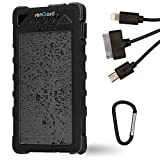 It is completely protected from the trail and is waterproof, dustproof, and shockproof. It doesn’t have a quick-charge feature for newer phones. Despite its protections, some components can corrode in moisture. This QueenAcc product is one of the few models of charger that can provide a current flow that is enough to take advantage of the quick-charging tech. It’s very high-quality; it is designed to last through 500 charge cycles. It has hooks and a lanyard for easy carrying. It is able to charge devices very quickly. Its light has an SOS function so that you can find help. It has a tendency to charge very slowly on solar power. While rated at 15,000 mAh, it seems to have a lower capacity in use. Sometimes, when you’re in the wilderness, it’s good to be able to charge quickly using only solar rays. 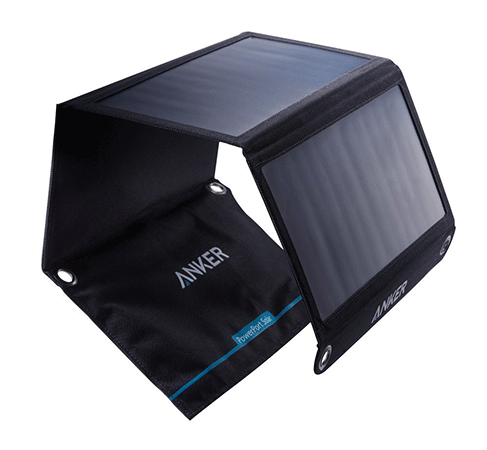 This solar charger has the ability to fully charge under the sun in about eight to 12 hours. It does this by using a foldable panel that expands for optimum solar transmission. At 10,000 mAh, this charger has a good capacity. With two ports, you can charge two devices at the same time. It’s very light at only 9.15 ounces. It can sometimes power off before it finishes charging a device. The instructions aren’t very helpful. As you might expect, portability is one of the best features of products like these. 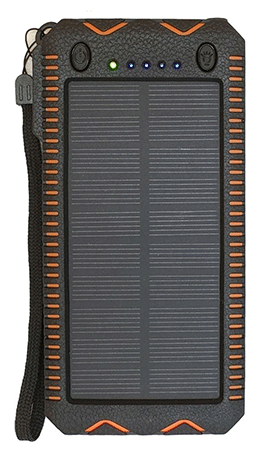 The Matone solar charger is only 8.8 ounces in weight, which means that it’s very pocket or pack-ready. It even has a respectable capacity of 10,000 mAh. This charger comes in four distinct colors. It can be hanged on a backpack with ease. Compared to other products of its type, it charges from the sun fairly quickly. It doesn’t support Quick Charge. Its light is only moderately powerful. For the outdoors, it’s very useful to have a bright light when it gets dark. 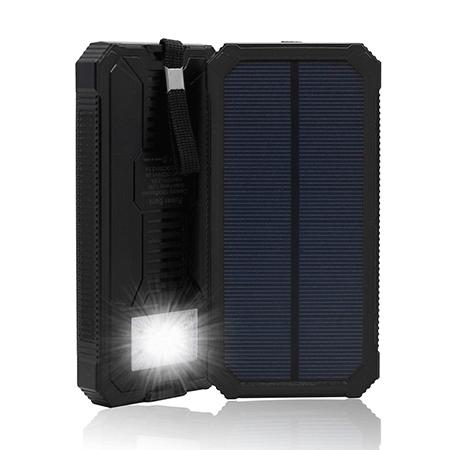 The Ayyie solar power bank has a two-bulb LED lighting tech that is relatively bright. In addition, it also has a carabiner clip for easy storage and accessibility. It also packs in 10,000 mAh for a few charges of your devices. It has dual-charging capabilities via two USB connectors. It’s capable of a strobe or SOS mode for lighting. It isn’t much larger than a modern smartphone. It’s a bit heavy at more than a pound. The USB caps are a bit hard to take off. Anker is a brand of electronics that is known for their great power bank solutions. While this charger doesn’t have its own internal capacity, it’s not really designed for internal charging. Instead, this charger uses high-tech solar panels to deliver a charge to your devices fast. This device unfolds and can be tethered to your bag for a great charge. It’s made of PET plastic that is very durable. It’s a great way to charge a dedicated power bank while you are out and about. While it is somewhat water resistant, it’s not recommended for you to have it out in a storm. It really falters when it’s cloudy outside. This Fkant is a great way to charge up several devices because of its impressive 15,000 mAh capacity. While it will charge up via the sun at a fairly slow rate, its ability to illuminate your path is very impressive. This is because it uses six LED bulbs for illumination, which is bright enough for even the darkest nights. The flashlight is large and bright and features emergency patterns as well. 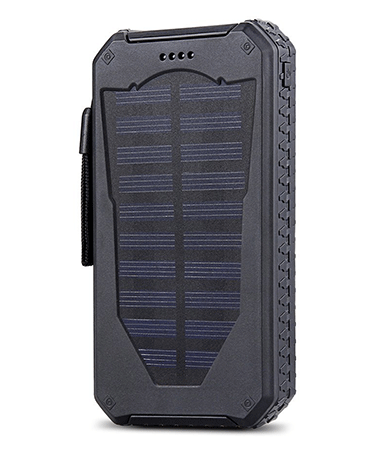 This is a durable solar charger; it can face bad weather and shock without any issue. It comes with a strap and a carabiner for easy storage. It needs relatively optimal sunlight situations for a charge. If you love the outdoors, then you’ll also want to protect it from being damaged. This is why the Dizaul solar bank is such a great product. First, like all solar chargers, it can be charged in an eco-friendly way. Secondly, it’s actually constructed of materials that leave a very minimal environmental footprint. While it only carries about 5,000 milliampere hours of charge, it can do the job with an iPhone or most android handhelds. This is a water-resistant device; it even has caps for the USB connectors. With its football-grain design, this is a device that can easily be used during a torrential downpour. The rubber is silicone-based and provides a very durable construction for this charger. It’s slow to charge, so it’s better to use an outlet to get it full. Then, keep it outdoors to keep the charger topped off. Even from an outlet, it takes about six to seven hours for a full charge. 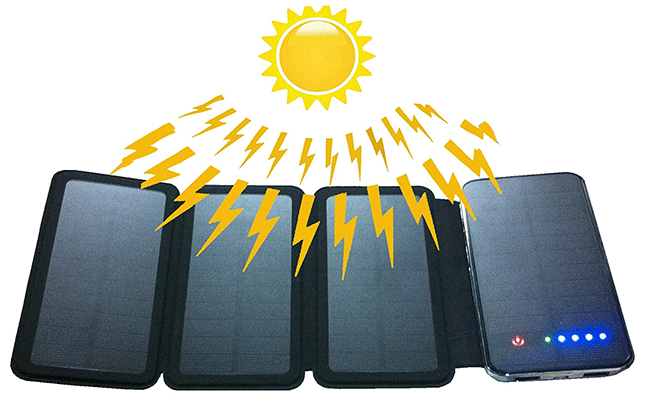 There are many of these devices on the market, so what makes a good solar charger? 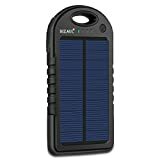 A solar charger should primarily have a sizeable capacity. Many phones like the iPhone 7 or the Samsung Galaxy s7 series have a set battery capacity that’s usually measured in milliampere hours or mAh. The iPhone 7 has a 1960 mAh battery and the S7 has 3,000. 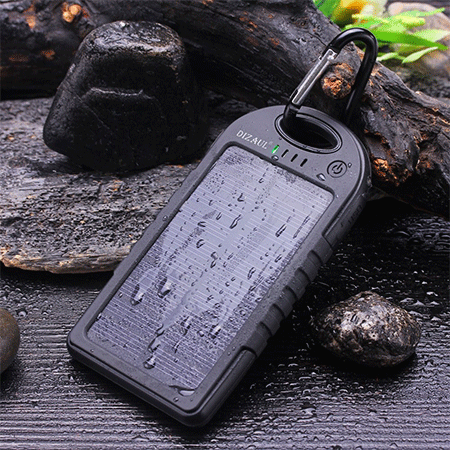 This means that your solar charger should be able to have a capacity that can charge your devices more than a single time, so at least 10,000 mAh. Solar charging is still in its early stages, but these devices certainly provide some great convenience when you are out on the road. Each of the products that we’ve reviewed has a lot of great functionality so that you can get the power you need from one of our most limitless sources.